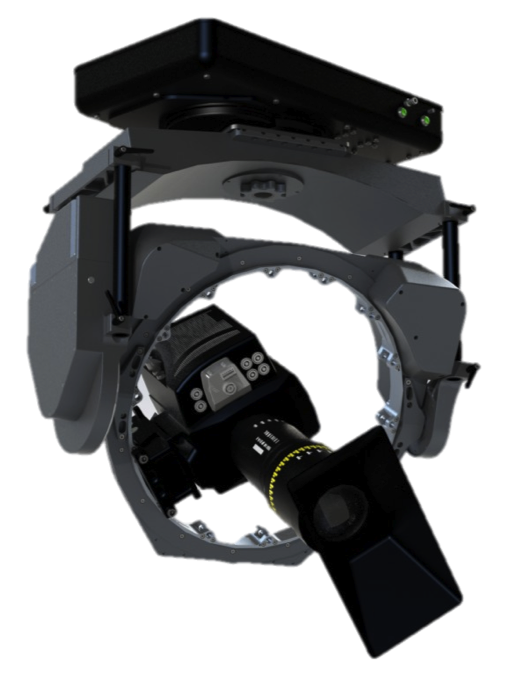 One of our latest projects developing Motion picture equipment is this pan, tilt, and roll head that contains internal gyros to stabilize unwanted motion. All axes are driven using helical gears and 4-point contact bearings. It can be mounted either in overhead or under-slung mode, the camera moves on nodal, and all axis are capable of a continuous full range of motion. All unnecessary mass has been removed from every component of the head to provide maximum strength and minimum weight. The roll axis also has a unique feature in that it has mounting posts on its full diameter to mount the camera and any accessories in any desired position. The entire system is extensively water shielded.